By Guest Blogger, Neil W.
Tires weren’t always designed the way they are today. The first models were made of iron bands attached to the wooden wheels. They were used for carts and wagons. The first use of rubber was recorded in the mid 19th century. Still, these were also very simple types of tires where all the load was placed on the rubber. The first pneumatic tire appeared in 1845. The design patented by R.W. Thomson used air to absorb the shocks of the road. But this type of tire was only the beginning to invent the one we use today. While improving a bike, John Boyd Dunlop created the improved version of a pneumatic tire. That was I 1888 and was noticed only because the rider of the bike won the race. Andre and Édouard Michelin were the first to use a pneumatic tire on a car in 1895. This is considered the beginning of the global use of pneumatic tires. Countries all around the world issued regulations requiring that all manufacturers start using pneumatic tires in production. From then on, tires were only improved to reduce the fuel consumption, handling different types of road and carry an appropriate load. In order to take good care of your car, you have to know your tires. Since we are not all car savvy, here are some easy tips for choosing the right ones. Tires are rubber containers filled with compressed air. They take the load of the car upon themselves, but also they have to handle the road conditions. Observe them as cushions which reduce the impact of the ride on the vehicle. Nowadays, tires have from 19 to 25 components. The core of every tire is an inner liner since it holds the air inside and so gives the tire its round shape. Steel belts are used for stability and to flatten the treated pattern as much as possible. A sidewall is located, as the name says, on the side. It defines the ride characteristics. For example, the softer sidewall can take a harder impact like bumps, while stiffer provides sharper steering. Also, every sidewall on every tire has an alphanumeric code. These are dimensions of the tire. Most start with the letter “P” unless you drive a light truck where they start with “LT”. 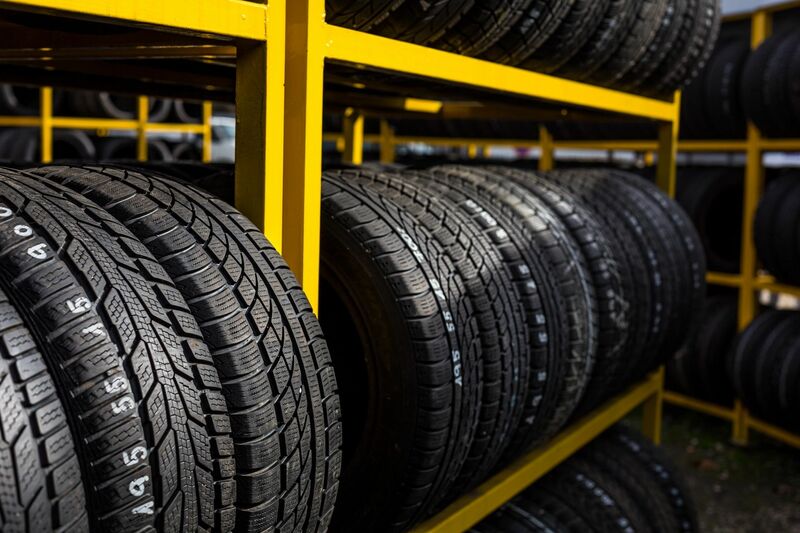 This code will help you choose the right tire for your vehicle, however that may not be the only helpful factor. As we mentioned, every tire has a code on its sidewall which contains information you can use to choose the right one. Correct tire size is a very common mistake, but it’s also an easily solvable one. So let’s break down the code so you can understand what every letter and number stands for. The code starts with the letter “P”, which signifies the type of tire. Its followed by the three-digit number like 195, for example. This is the tire’s width across the thread and is shown in millimeters. After the symbol “/”, follows another number which signifies aspect ratio of the sidewall. Right next to this number is the letter “R” for radial construction and a number which stands for a diameter of the rim. After a blank space comes the number which shows tire’s load rating and a letter signifying the speed rating. If there is M+S at the end of the code, this means that the tire is suitable for all-season driving. Even though having this code means that you can simply go to the store and buy a tire, unfortunately, some mistakes still happen. Consulting a car repair center is always the best choice if you’re unsure how to buy the right ones. For example, you have to pay attention not to choose the lower-load tire. This is especially important when you are buying a spare tire. Traction is another aspect you need to pay attention to. Choosing a tire inappropriate for the road you’ll be driving on is actually a very common mistake. Every season requires a certain type of tires, as well as certain terrains like mountain, dirt or wet roads. The cost of the tire differs depending on the vehicle. SUV requires different ones than the passenger vehicle. However, it’s very commonly noticed that SUV owners choose tires intended for the lighter cars because they’re cheaper. This is not only damaging to the car but also dangerous for the passengers. So make sure that you use tires appropriate for your vehicle type, road conditions and season to avoid accidents and avoidable repairs. This may be a lot to remember since people handle numbers on daily basis. Passwords, PINs, security codes and all other figures can be a little too much to handle. But, now that you know that the code to buy the right tire is right on its sidewall, you can remember fewer symbols. Alternatively, you can always go to professionals for help and have one less worry on your mind.